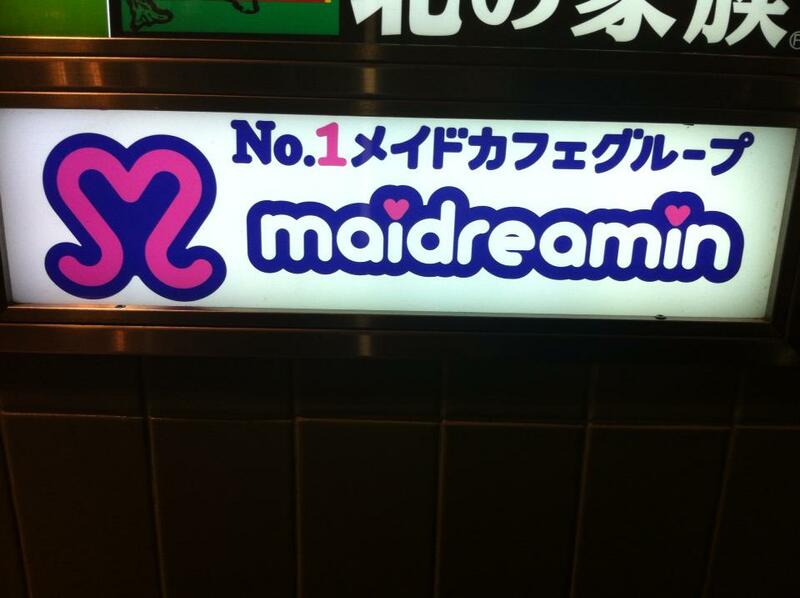 Maid cafes are often run by chains such as Maidreamin which currently has 17 stores throughout Tokyo, Nagoya and Osaka. 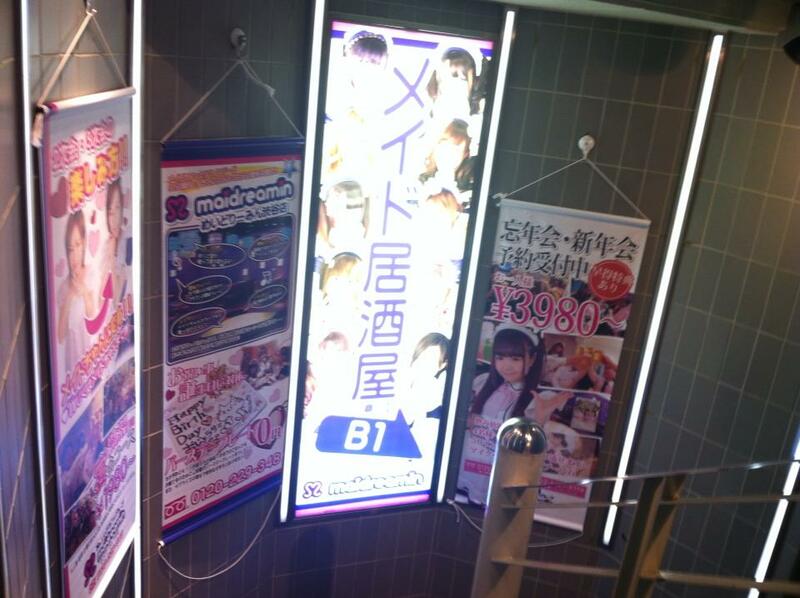 In this post we’ll look at the famous Maidreamin Digitized Cafe and Dining Bar in Shibuya. 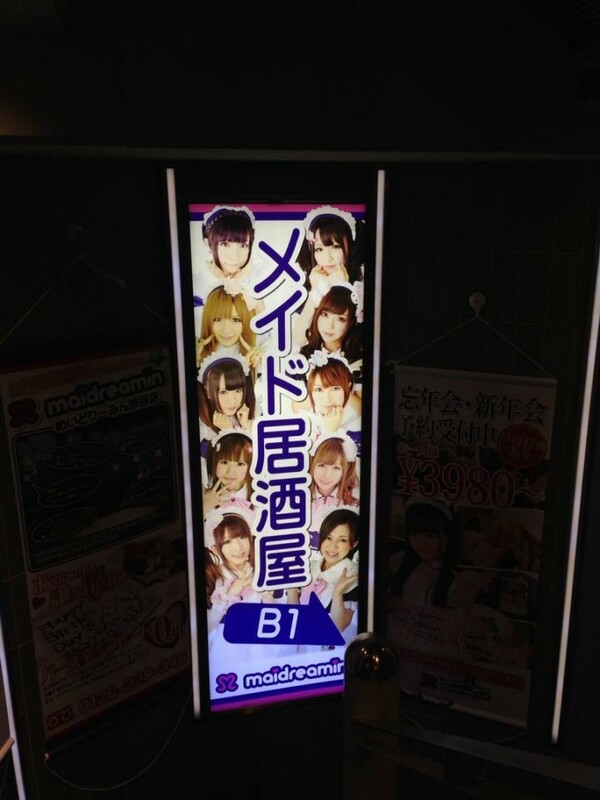 As a general rule, you are not allowed to take photos in maid cafes. Some may allow this, but Maidreamin does not. When you consider the perception that some people have of maid cafes as being seedy venues patronised by sleazy men who come to ogle at the young girls in French maid costumes, you can probably imagine why photos are against the rules. Are maid cafes sleazy or seedy? We found that Maidreamin was quite the opposite. I’m sure that some maid cafes would be, but this is certainly not the case for all of them. Shibuya Digitized Cafe is a fun venue and when we went, there were only a couple of other people – a guy in one corner and a Western girl in the other – sitting on their own, keeping to themselves. The staff didn’t play games with them, so I think they might have been regulars who just like to sit quietly and read. Meanwhile, our maid Panda had us say a few things in Japanese with her and pretended that the LED candle on our table was magic. One of the ideas behind maid cafes is that the staff are meant to act child-like – we went along with it and it was all in good fun. I’ve read other positive reviews of Maidreamin which also say that it’s just good clean fun, and something a little different. 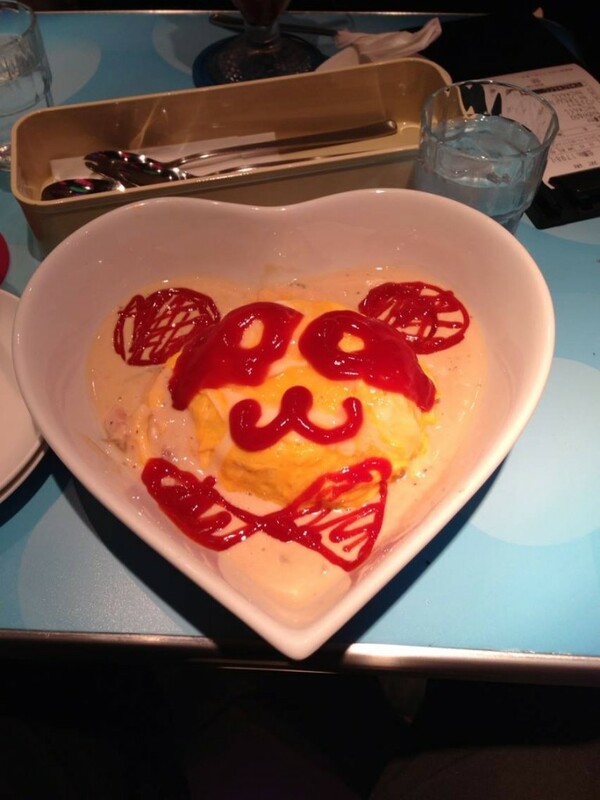 You do need to be prepared to go along with this if you’re going to visit a maid cafe – otherwise it’s just going to be awkward! 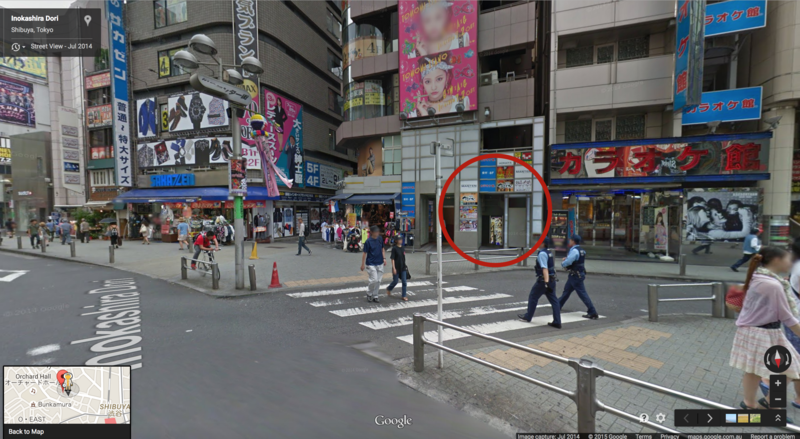 One of the drawing cards of the Shibuya Digitized Cafe is that it looks like it’s part of a video game. Cube-shaped lights that change colour hang from the ceiling. Apparently the cubes also make sounds when the maids jump from the trampoline and hit them. Alas, I can’t verify this as nobody was jumping from the trampoline when we visited. Walls are decorated with what turns out to be Japanese emoji when you look closely, and panels in the walls are animated. This is exactly what it looks like when you visit. That green leaf is a stage. We sat on it when we took our photos with our maid, Panda. The light-up cubes which change colour and make sounds. The walls, covered in emoji, icons and animated panels. What you are allowed to take photos of is your food. Your maid will bring your food and decorate it, if you’ve ordered something like omurice (omelette rice) which they put tomato sauce on. You’ll be told when you’re allowed to take a photo, so if you’re the kind of person who likes to photograph everything you eat, make sure you take the opportunity. My partner ordered the omelette panda rice with porcini and tomato sauce which was surprisingly good. Our expectations weren’t that high in terms of the food quality, as maid cafes are more a gimmick than a fine dining experience, but we quite enjoyed the Maidreamin food. 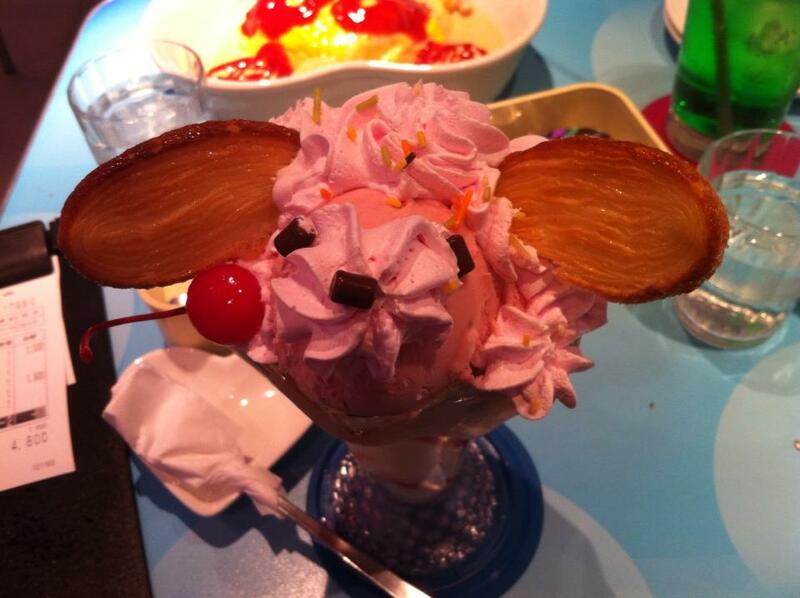 I ordered the completely kawaii bunny parfait. We both love parfaits, and I can’t pass up the opportunity to order something that cute! After our meals, we got photos with our maid. At Maidreamin, you’ll be looked after by the same maid for the time that you’re there. Panda was really cool, and even though she didn’t speak much English, she was really friendly and made an effort to chat with us and made our experience fun. 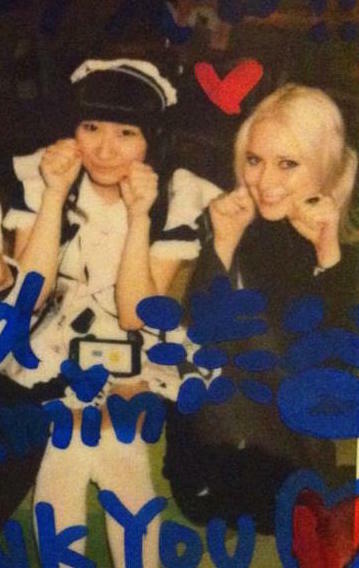 For the photos, you can choose whichever maid you want to pose with, but of course we chose Panda. Photos cost 500 Yen (about AU $5.22) and are taken on a mini instant camera, which your maid will then decorate. She even wrote our names in Japanese. As we posed for this photo, Panda turned to us and said “Nyan” – the Japanese word for the sound that a cat makes – so we posted as cats. 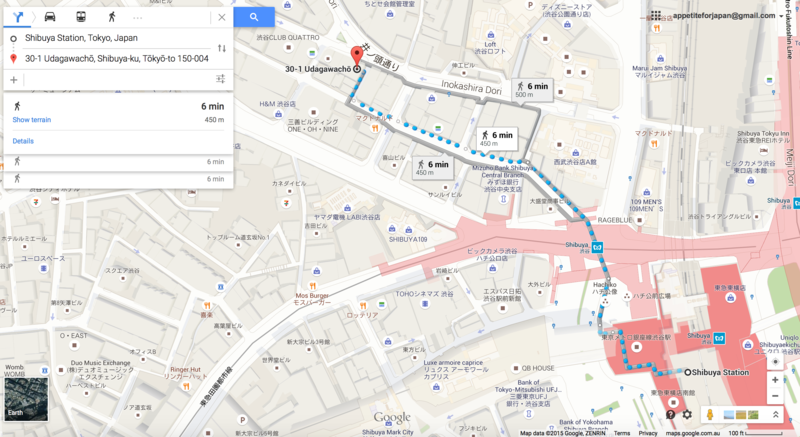 How to get to Maidreamin Shibuya Digitized Cafe: It’s a short walk from Shibuya station, through the main shopping area. It’s easiest if you take the Hachiko exit from the station. Here’s the building from the street. The cafe is downstairs, and you can see the lit up sign with the picture of the maids by the stairs. How much does it cost? To start with, there’s a flat fee of 500 Yen per person per hour – basically a cover charge just to be there. If you want a photo with a maid, that’s another 500 Yen. Food is not too expensive, and you can get packages that include food, drink and a photo with a maid. For example, omurice, a drink and a photo with a maid costs 2,500 Yen (about AU $26.00). Note: This is a smoking venue. It does not even attempt to provide a non-smoking area, so if you’re asthmatic and/or keen to avoid cigarette-friendly venues, you may want to think twice about visiting this one.